So, you just took a beautiful photograph and just got it printed. Now you’re thinking of framing it up. Framing your photographs can not only enhance the beauty of the photo but also keep it away from dust that may damage your photographs. 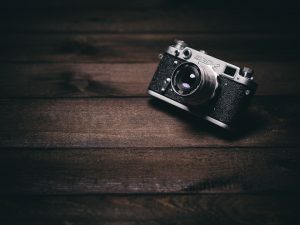 This article will be sharing with you the ways as to how to frame your photographs and to ensure that you’re doing it perfectly. Ensure that you have an open space and a clean table that is big enough for your photograph. The table must be clean so that you will not have your photographs stained while trying to frame it. 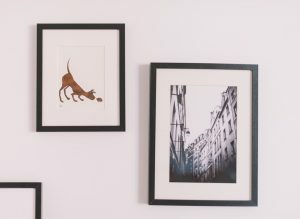 While matting, and framing your photographs, you must ensure that no dust or dirt reaches the photographs and the whole process must be done quickly to avoid dust from reaching the photograph after mounting. Position your photographs to the Matte window. Make sure that you like how you are positioning it. Ensure that the photograph is in the middle of the matte window before you close over the hinged mount. You’re able to do some simple tweaking to make sure that it looks perfect. Positioning the photograph is important before you secure it. Once you secure it, no matter how off is the photograph is from the centre, you are unable to change it. The photograph should be perfectly placed in the centre of the matte. Now you will need to secure it. However, avoid using any adhesives on the photograph itself as it can damage it. Instead, use mounting strips instead. The mounting strips are free from acid adhesive thus it will not damage the photograph. After securing the matte with the photograph you’re ready to get it framed up. Getting a frame size that fits the photograph is important. Now that you’ve finally secured your photograph with the matte, it is time to fit your photograph into the frame. A frame that is overly big for the frame will make the photograph look ugly and weird. Getting a frame that is too small may damage the photograph itself. Choosing a frame that fits perfectly may require some time and you have to take measurements. Leave some space in between the frame and the photograph so that the frame will actually complement the beauty of the photo. Did you find this tutorial complicated and hard to do? Don’t worry there are always professionals out there that can help you with it. Look for photo framing professionals and chances are they have custom framing service available as well. Tell them what you like and what kind of frame you want. They might even give you recommendations that can really bring out the beauty of the photograph itself. I hope you find my article useful. I have tons of photographs mounted to my wall. Most of them are photographs of my family and great friends. Want to do it as well? Remember to frame your photographs before you do it!